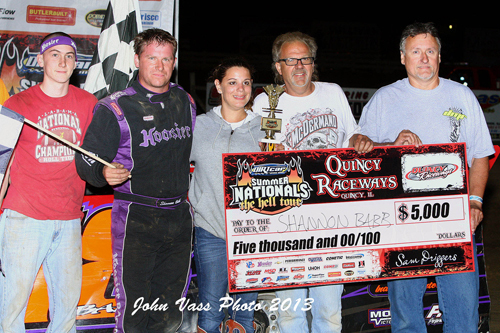 Shannon Babb enjoys the Quincy UMP Hell tour victory with his crew. 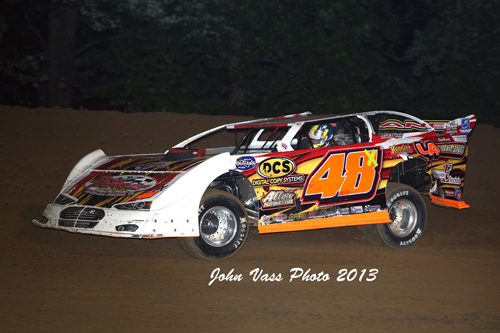 Brian Shirley came home in the second spot in Tim Lance's second car . 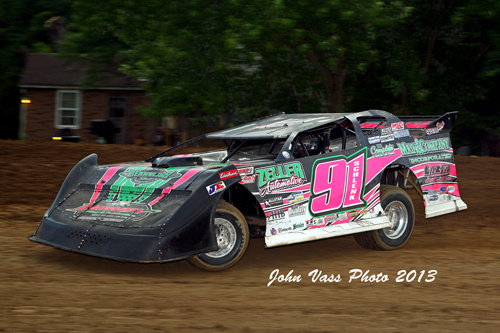 Kevin Weaver runs low with Rickey Frankel taking the high lane. 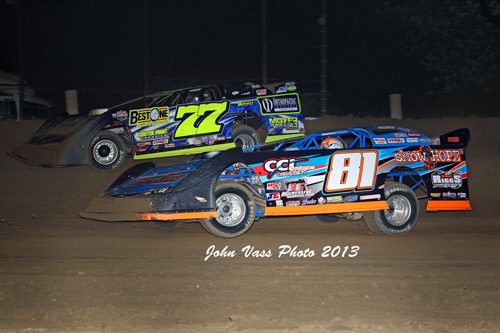 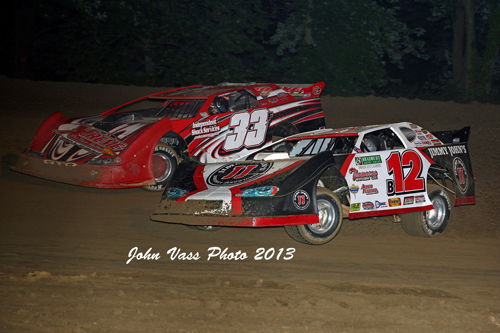 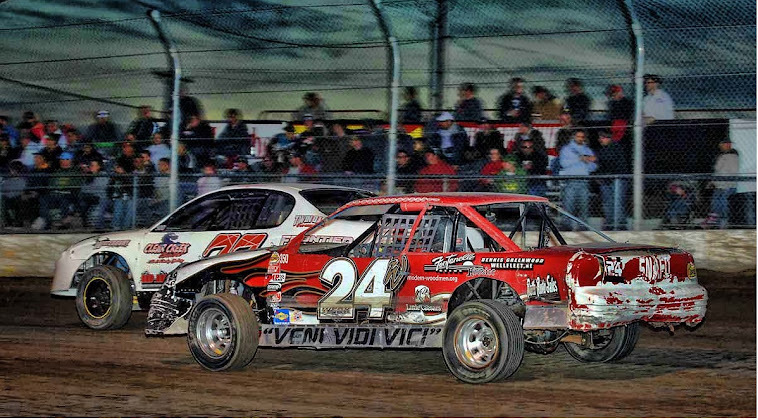 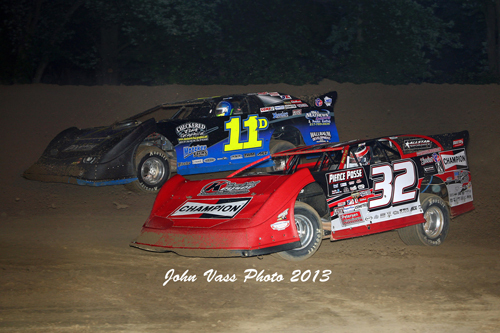 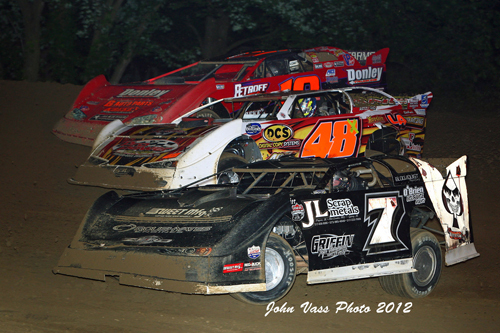 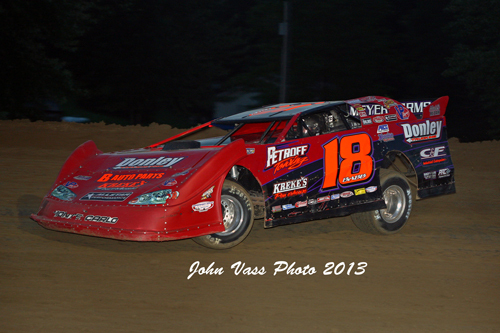 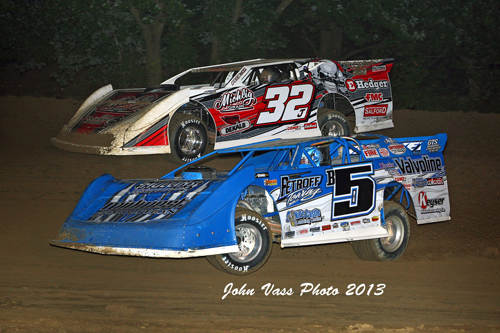 Bobby Pierce and Brian Diveley fight over third place at Quincy with Pierce slipping by at the end.